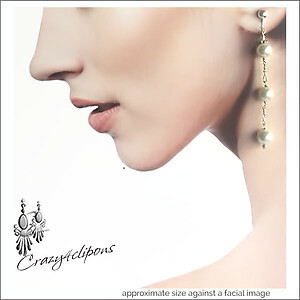 Product Description: Faux Pearl Earrings. 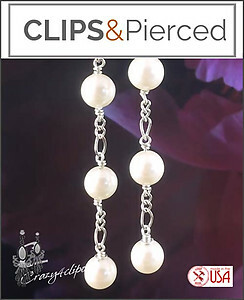 Features: Yes, these are faux pearls and yes they are very pretty. Incredibly light they are paired with silver plated chain and hand wrapped with silver filled wire to come up with a style that is fun, festive, incredibly light.